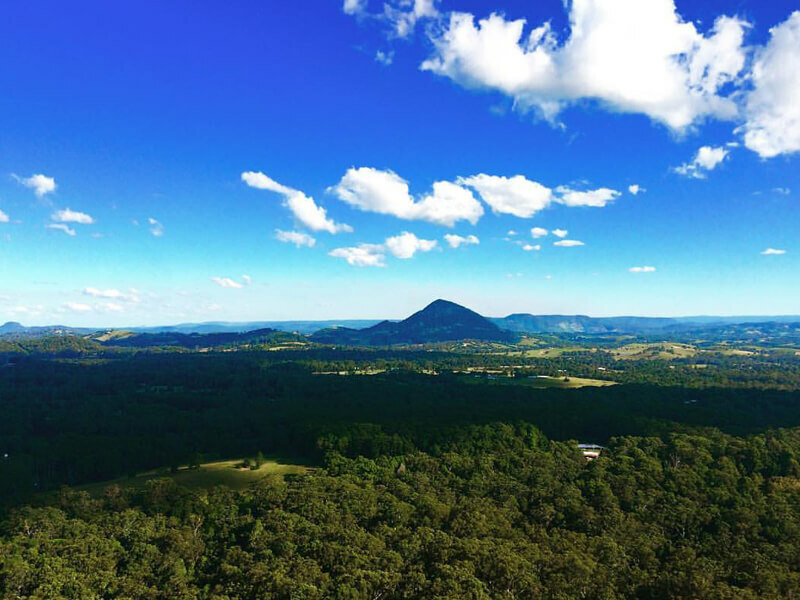 The Noosa hinterland is a veritable wonderland of day-trip options to explore while you are staying in Noosa. 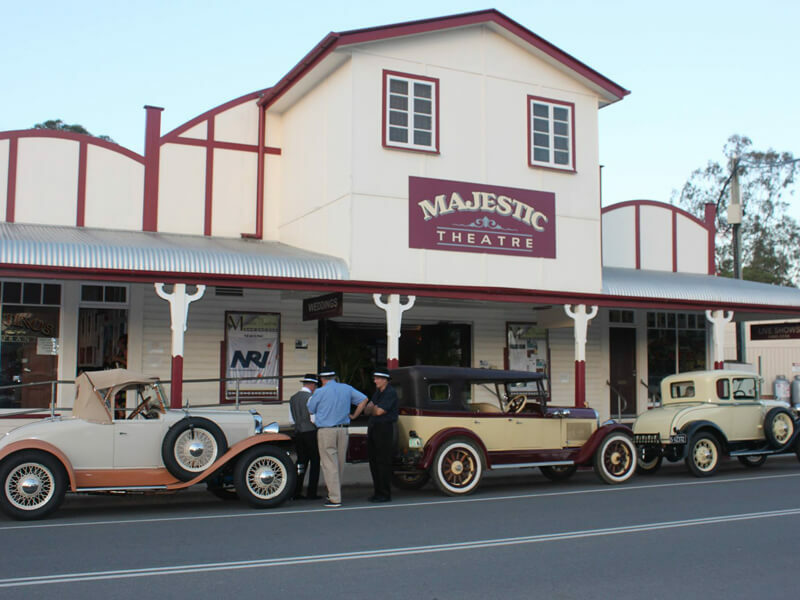 We’ve listed just a few popular towns within a short drive from Noosa with colonial villages, great eateries, boutique shopping, gallery trails, rainforest walks and adventure tourism on offer. North of Noosa is Boreen Point, exquisitely located on Lake Cootharaba – Queensland’s largest natural saltwater lake. The shallow water is ideal for sail-ing, kayaking and fishing. Turn back time and lunch at the historical Apollonian Hotel. Eumundi south of Cooroy is possibly the hinterland’s best-known historical village, famous for its expansive Eumundi Markets open every Saturday and Wednesday. Heritage listed fig trees; boutique stores and galleries line the streets. 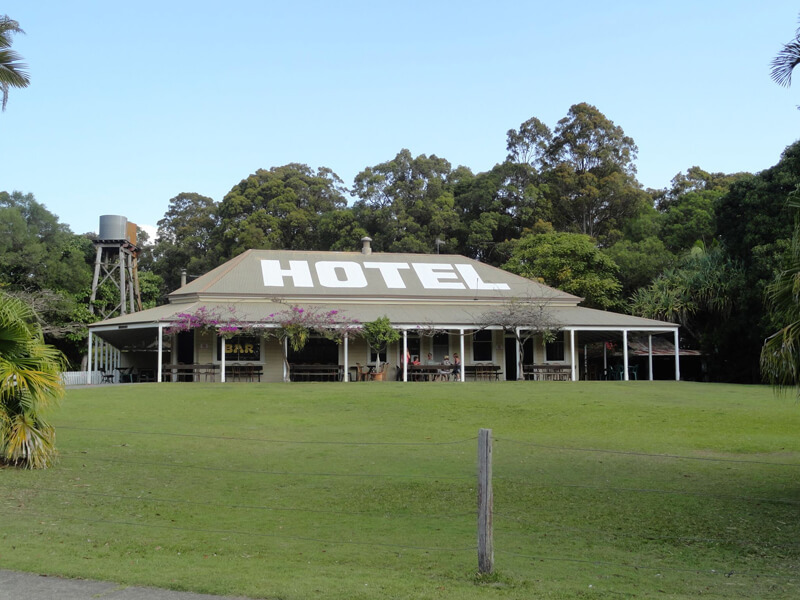 The Eumundi Imperial Hotel is an institution and Joe’s Waterhole is a dedicated live music venue. Visit the Original Eumundi Markets if you’re looking for something different, something handmade, something special… You’ll find original artworks, sculptures, furniture, handmade toys, homewares, and skincare, as well as cutting edge fashion and jewellery by local designers, all guided by our ethos of “we make it, bake it, grow it, sew it”. North of Cooroy, the historic Majestic Theatre at Pomona is the oldest continuously running silent movie cinema in the world. Pomona is also known for the annual King of the Mountain Race up Mt Coororora. The Noosa Museum at Pomona offers a glimpse into the lives of the Gubbi Gubbi people, the aboriginal inhabitants of the region. Just north of Pomona is Cooran at the base of the Mothar Mountain State Forest with walking tracks, natural swimming holes and magnificent coastal views.